Just a little over a year ago I started my health & fitness journey in a 90 day challenge group, hoping to fit into some of my non-maternity clothes to go back to work just a few months after having our fourth baby. I was not expecting miracles, just hoping to shed a few pounds & needing someone to hold my hand through the process & keep me accountable. I had tried going to the gym & doing exercises on my own at home in the past & could never keep myself motivated & accountable. This time is was different. I had the support from my amazing coach every step of the way & the other members of my challenge group keeping me accountable for my actions. I had such amazing success in that first challenge that I wanted to keep the ball rolling...I ended up doing three challenges in a row. I loved the way I was feeling & looking. I loved my increased energy & being able to keep up with my kids! I loved cheering fellow challengers along & sharing what I was learning in my fitness journey with my friends, family, & co-workers. That's when it clicked! My coach had mentioned that I might want to consider being a coach myself, but I never really gave it much thought...at first. Then the more I spoke to people about my fitness journey & realized how much I love sharing my knowledge of clean eating & fitness, the more I heard people say that my transformation "inspired" them to get healthy...then I had my AHA! moment. I realized that I could help people feel as awesome as I feel, I could help people get healthy, I could help people find their "soul mate" workout...and that would enable me to work from home & spend more time with my family. Coaching would allow me to control my paycheck & dream as big as I want to dream. Coaching would allow me more flexibility to travel & visit family & friends who live far away. 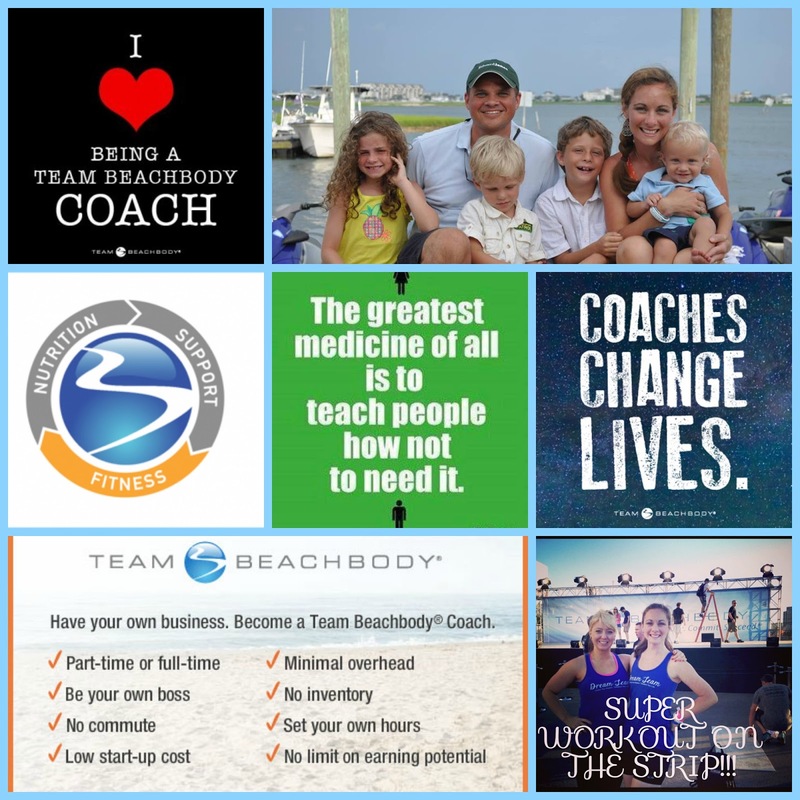 So I jumped in, took a leap of faith & signed on as a member of the Dream Team, the #3 team in the entire Beachbody organization! I have amazing leaders to learn from & have already touched more lives in my challenge groups than I could have imagined just a few short months ago. I love helping others & would love to help you achieve your dreams. 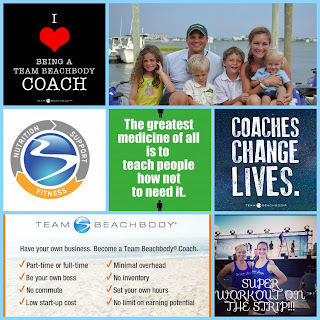 Message me today to learn how you can become a Beachbody coach & transform your life forever!